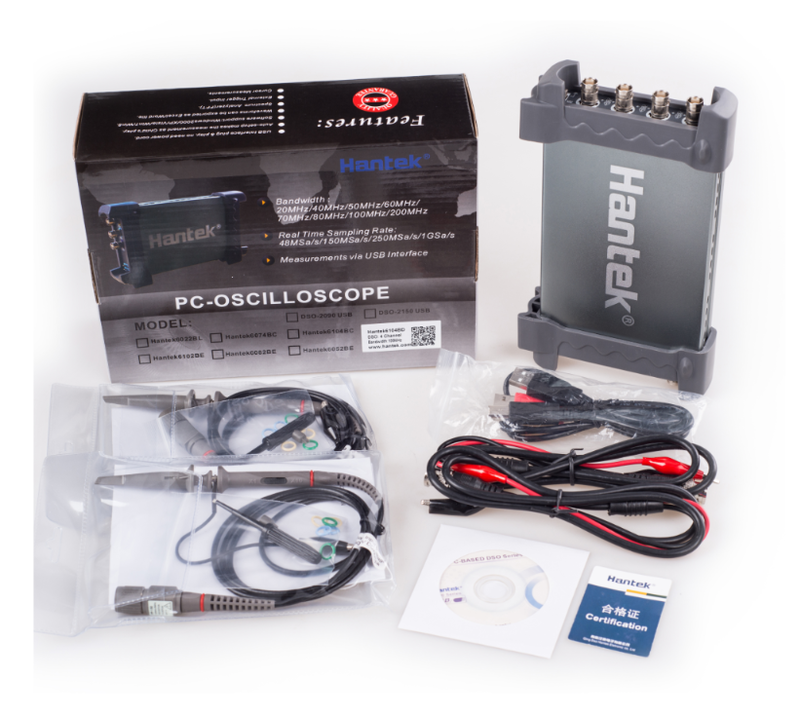 Qingdao Hantek Electronic Co., Ltd.
​4CH​ oscilloscope & function/Arb. waveform generator. 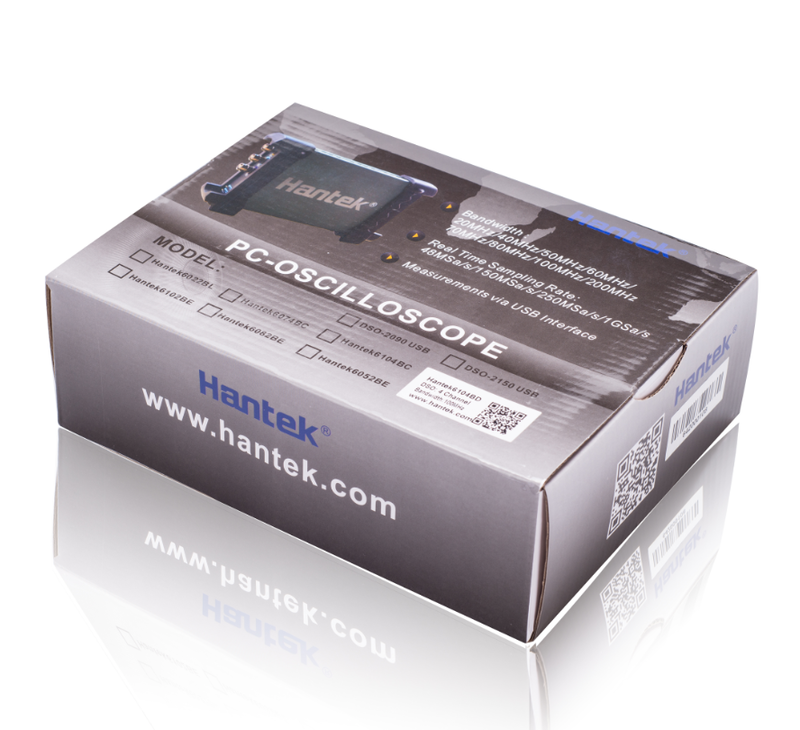 The performance of this model could even better than the performance of benchtop oscilloscope. It has 4 independent analog channels, 1GSa/s real-time sampling rate, 2mV-10V/DIV input sensitivity, 250MHz bandwidth and Arbitrary Waveform Generator. 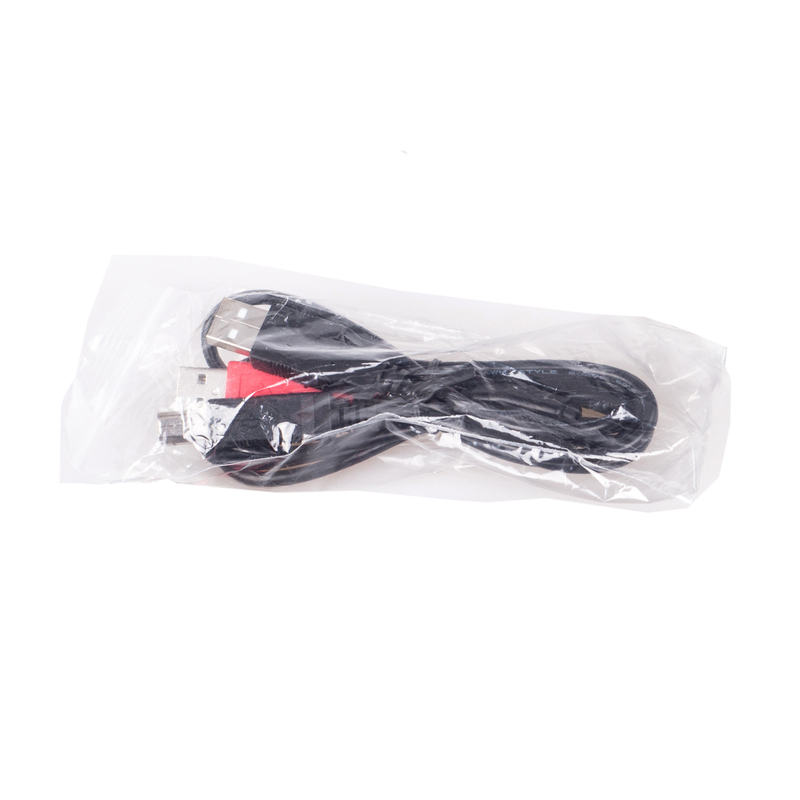 It is powered by USB2.0 Interface, plug and play device with small size which is easy for carrying. High cost performance, pass/fail test, resourceful trigger function, dynamic cursor tracking, waveform record and replay function. · 4CH oscilloscope & function/Arb. 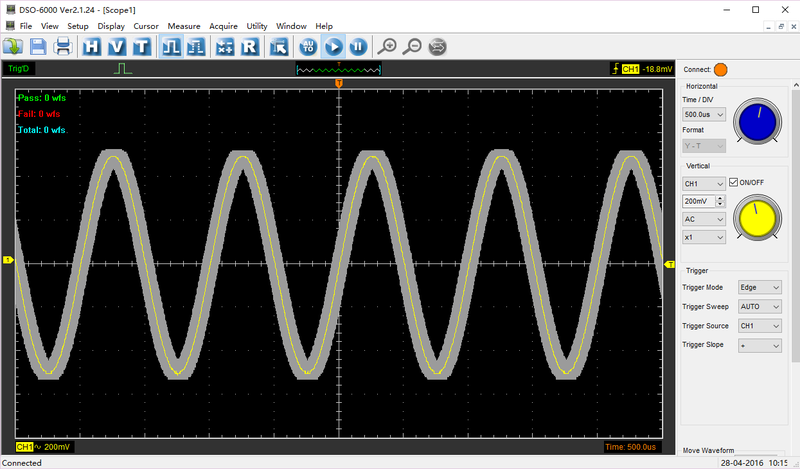 waveform generator. 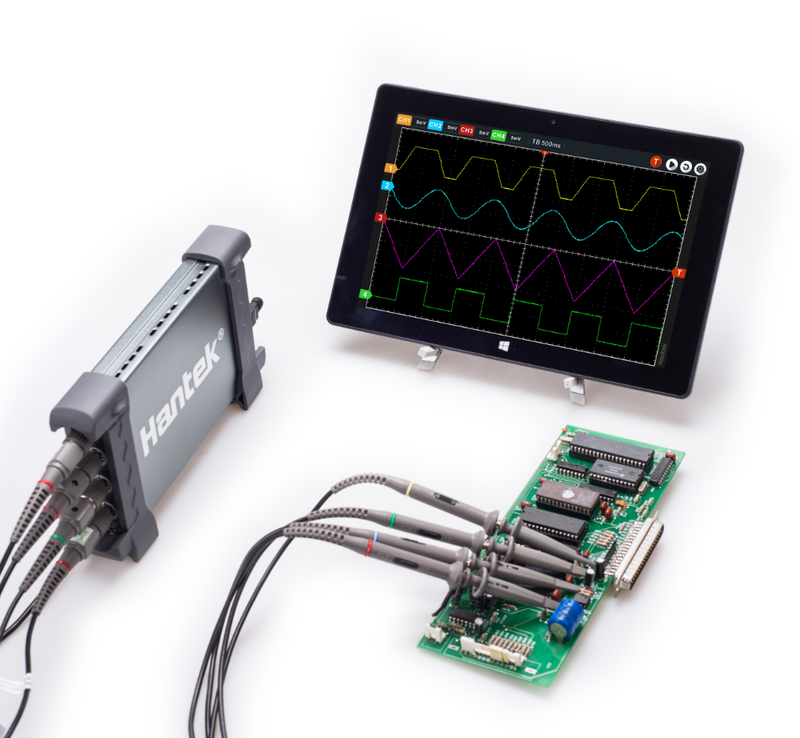 · The performance of this model could even better than the performance of benchtop oscilloscope. 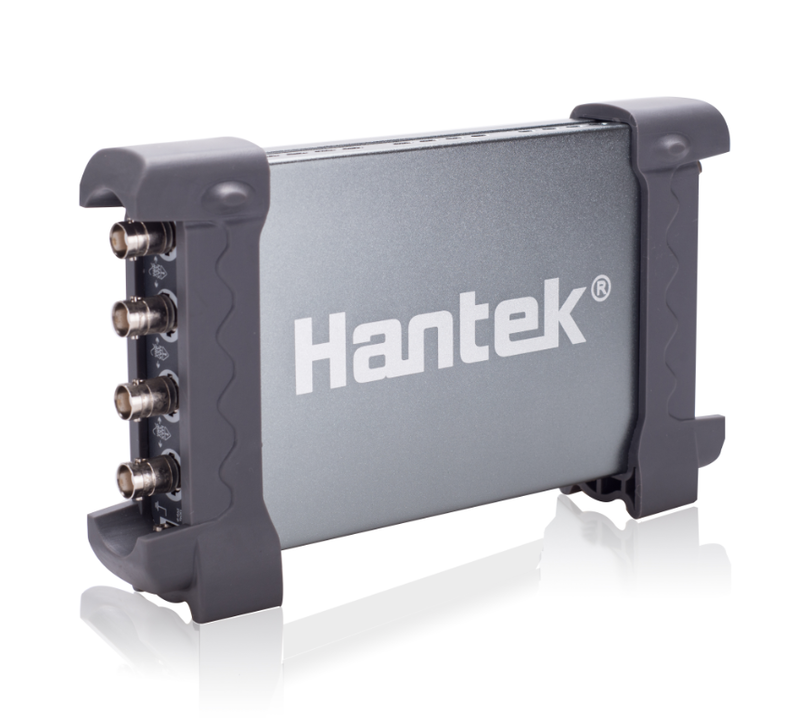 It has 4 independent analog channels, 1GSa/s real-time sampling rate, 2mV-10V/DIV input sensitivity, and 250MHz bandwidth. · Function/Arbitrary Waveform Generator: 200MSa/s DDS, 12bits of vertical resolution, built-in variety of standard waveforms, arbitrary waveform easy to edit, which is convenient to reappear sensor and other irregular signal. 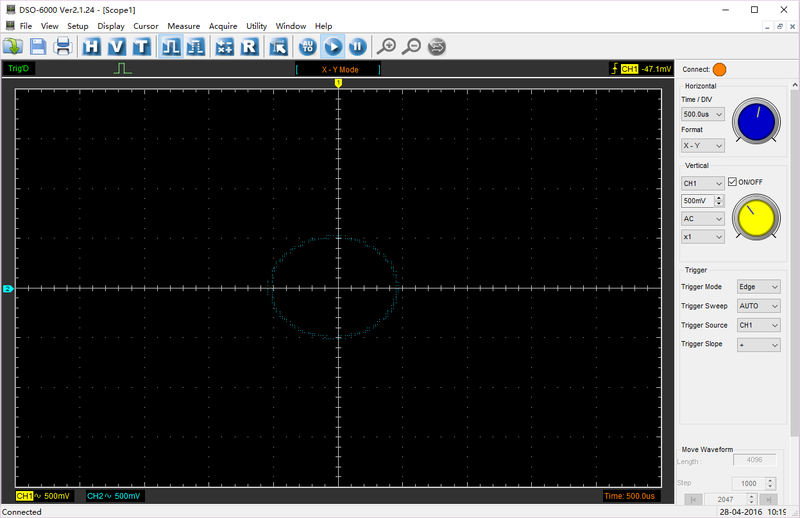 · Pass/fail test, resourceful trigger function, dynamic cursor tracking, waveform record and replay function. 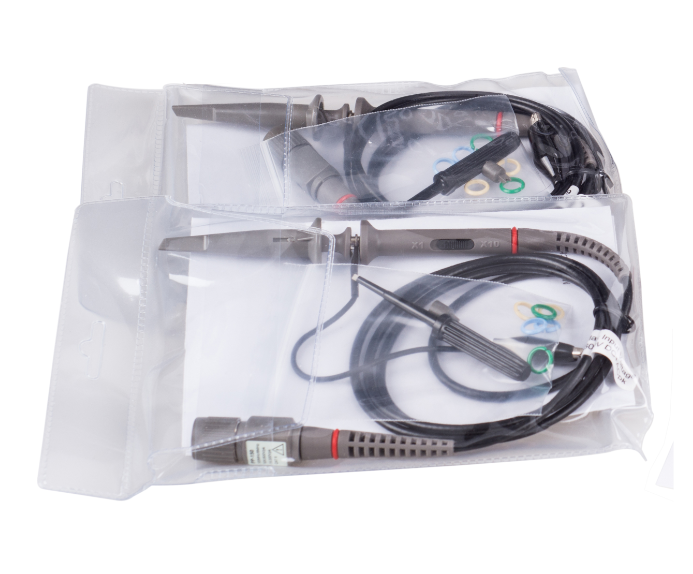 The operation interface is similar to banchtop oscilloscope, easy to operate with high cost performance. · USB2.0 Interface, plug and play device. · Good mechanical design with small size which is easy for carrying. The outer case is made by the same material with iPad - Anodised aluminium. It has great heat resistance and abrasive resistance with beautiful appearance. The hardness of aluminium alloy surface is greatly improved. · Fit for the portable computers, table PC, and repairing/fixing of production line. Suitable for business trip use. · The waveform data could be output to EXCEL,BMP,JPG as time and voltage category. · More than 20 kinds of automatic measurement function, PASS/FAIL Check function, fit for engineering application. · Serial bus triggering and decode, Bus protocol information can be quickly and intuitively displayed in table form. 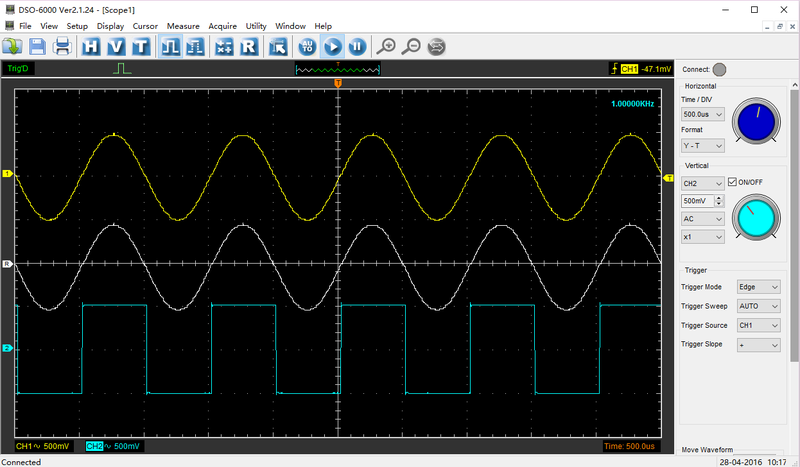 · Waveform averaging, afterglow, lightness control, reverse, add, subtract, multiply, divide, X-Y display. 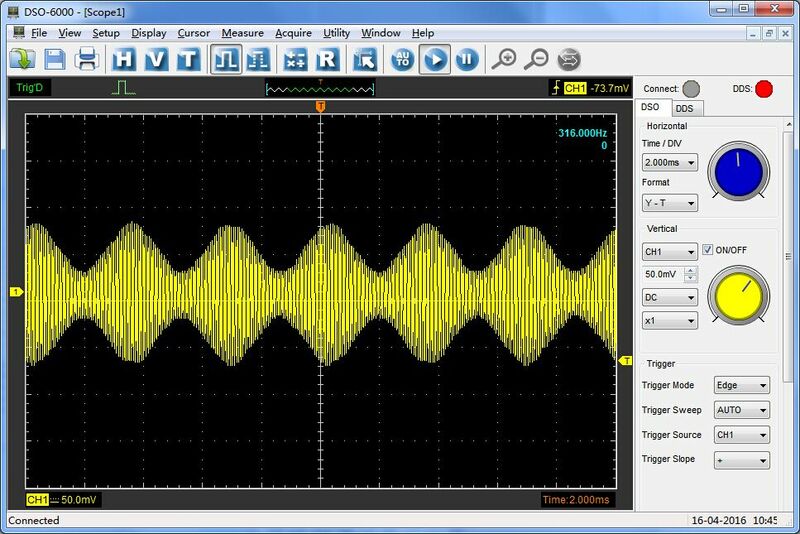 · One computer could connect with multiple oscilloscopes, expand the channel number easily. 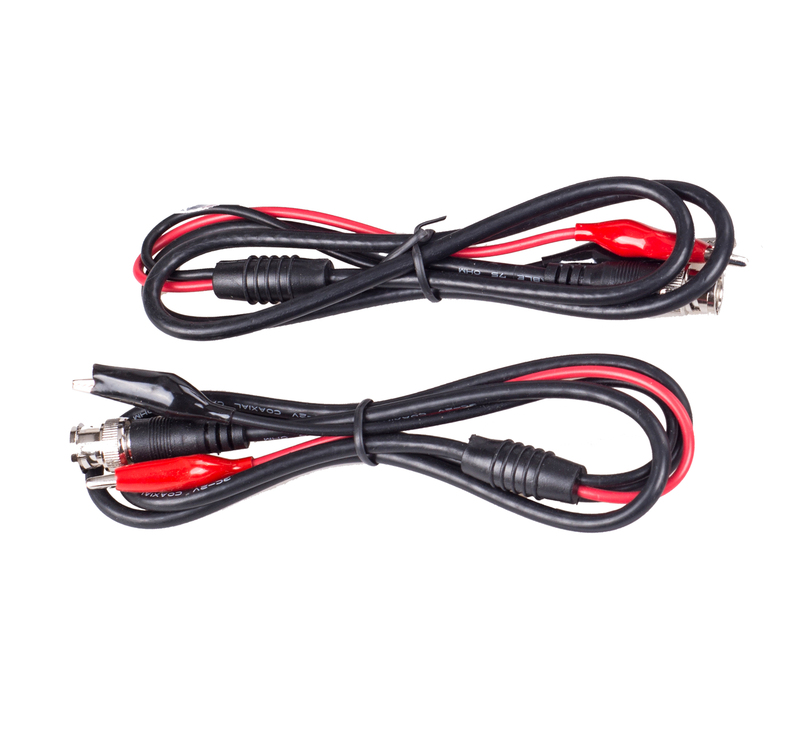 · USBXI standard interface, easy to insert into USBXI case to constitute assembling instrument. · Provide secondary development library DLL; Provide Labview\VB\VC developing examples.